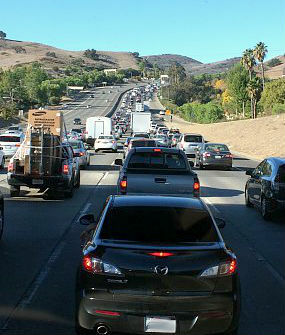 Traffic delays aren’t fun, even when taking a leisurely RV road trip. Unexpected road closures, accidents and construction zones cause stress no matter where we’re headed. To stay ahead of these headaches, just follow these five RV trip planning tips to avoid traffic hassles. Good weather is great for RV camping. Unfortunately it also means thousands of highway workers are out there doing their jobs. Places like Colorado, Minnesota and other snowy states only have a few good months each year to complete major road construction projects. When you reach one, take it slow and follow construction zone laws. 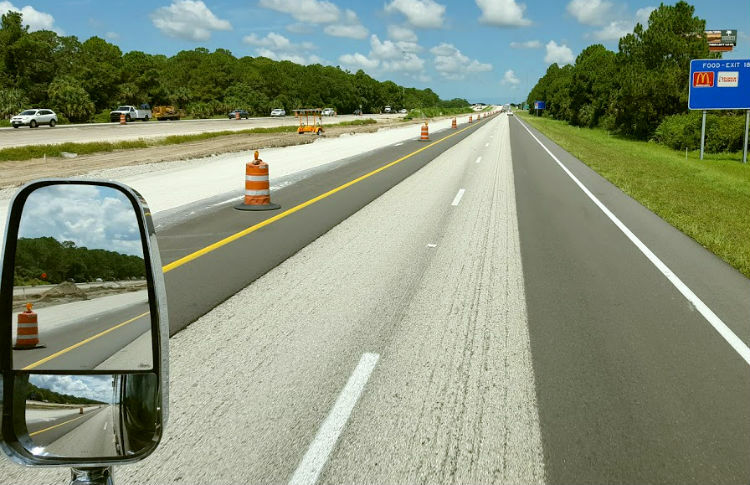 You’ll avoid expensive traffic tickets and keep highway workers safe. It always pays to know where you’re going before you leave home. Map alternate ways to get to your destination by taking advantage of the many road trip planning tools at your disposal. The marketplace is full of GPS’ made just for RVers and great apps like RV Trip Wizard. 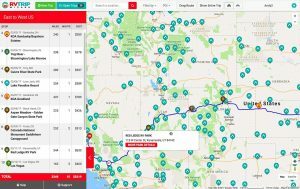 This tool routes everything from campground choices to fuel stops. As a bonus, RV Trip Wizard works without a GPS (but will integrate with one). Don’t turn the key until you consult with Google Maps. 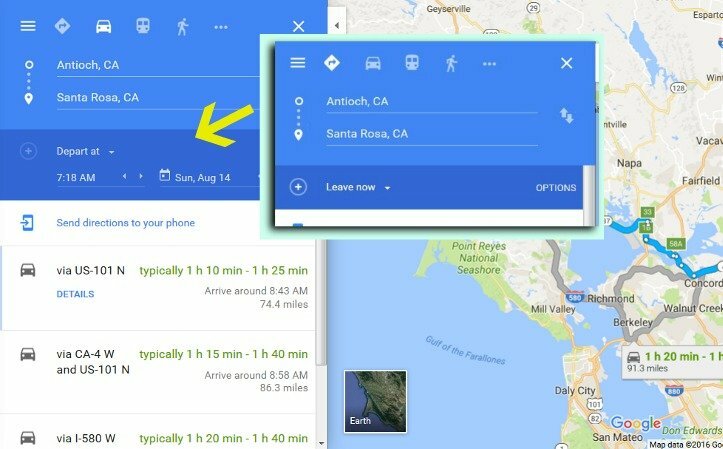 As long as you have internet connectivity, you can utilize Google Maps for the latest travel times of your preferred route. Google Maps shows users how long it takes to get to any destination and points out traffic delays in real-time. If you aren’t leaving for a while, choose the “Leave Now” pull down menu in the left sidebar of Google Maps. This tool reveals estimated travel times based on whatever time and day you’ll be on the road. Even the best RV trip planning tools don’t always reveal traffic hassles on America’s back roads. That’s when a call to 511 will get you where you’re going, even if you lack internet coverage. This free phone number is a road conditions hotline that’s active in the majority of states and Canadian provinces. Just dial 5-1-1 wherever you happen to be located and follow the prompts to learn about any delays along your route. If you do have internet connectivity, do a web search for “highway conditions” and your state’s name. Every state highway department website reveals traffic status for roads big and small. Are you headed to a national park? If so, keep in mind that some of America’s biggest national parks can take more than an hour to drive through. Don’t leave for a national park before going online and visiting the park’s website. Start with NPS.gov and drill down to find your destination. Once there you’ll find traffic alerts visibly noted on the home page. RV road trip planning used to be limited to paper maps, but not anymore. Whether you have a GPS, use websites or just your cell phone, technology makes driving far less of a hassle than it used to be. We’ve found Google Maps driving time to be optimistic when making car trips and totally unrealistic when towing the RV. A good rule of thumb for us is to add 30% to the Google Maps estimated driving time when puling the RV. I just add two hrs. to the Google time. We have a dog that needs to stretch and do his business quite frequently. We agree Ken and Julia. Lunch and stops are not in Google Maps equations. Gotta stop and smell the roses! I use Waze app for crowd sourced traffic planning. It alerts you to accidents, construction and real – time traffic speeds. It also provides a side chart for how long you will sit in traffic. I drive a big truck and a quality GPS like Garmin 770 tells me about any accidents, and weather conditions up ahead, worth every penny! You never mention RV Parky app. Not for traffic, but for campgrounds, overnight parking, etc. We used their campground reviews to choose CG across a 17 state trip in the West last year, and there was never a bad choice. We swear by this app. I use CoPilot RV. You can customize it with type roads you prefer and you can enter the speed that you usually tow making it more accurate than google maps. Also has height restriction settings as well. The only negative I have found is that it is a true gps and it needs to be on your windshield or dash so it won’t lose signal. But it also works in places where there is no cell signal too. Being retired, we never travel on Friday or Sunday. We always do our traveling on Tuesday, Wednesday or Thursday. Much less traffic, although Thursday is said to be the big rig travel day. The other tips above are also good. is there an app, site, book, etc to help me avoid tall bridges which I have a phobia about?